About the size of a bathroom scale, the Vernier Force Plate measures forces of stepping, jumping and other human-scale actions. For example, you can observe the change in normal force during an elevator ride, or measure the impulse delivered by the floor when you jump. You can use the Force Plate with any of our interfaces, along with Logger Pro for computers, Data Pro for Palm OS™, and DataMate for TI calculators. The Force Plate has two ranges, one for larger forces up to 3500 N, and a more sensitive 800 N range for pushing experiments. 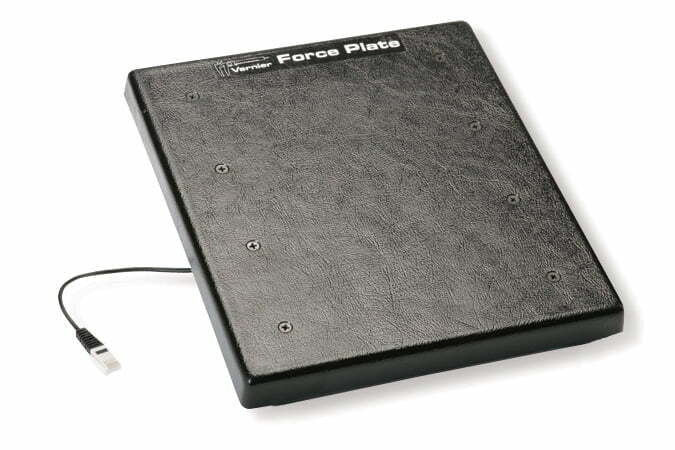 The Force Plate requires a compatible interface and software to collect data. Interface and software sold separately.